How Does Buying Rent to Own in Oklahoma Work? Your neighbors can make or break your living situation. When shopping for a new home, you’ll want to consider who is living around you. 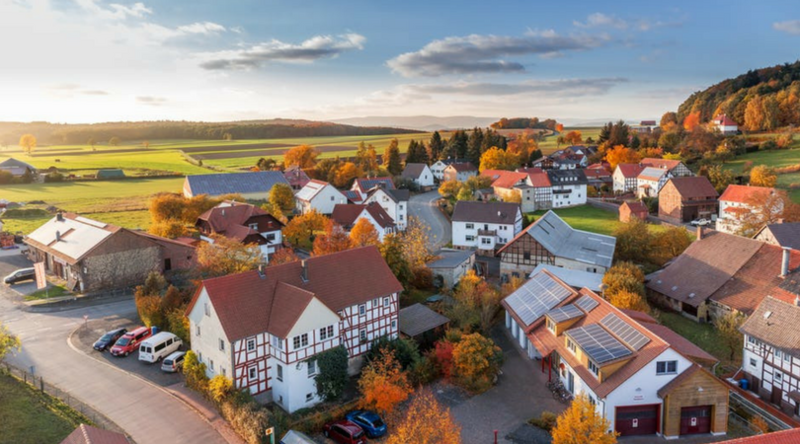 In this post, we’ll help you find the neighborhood in Oklahoma City Metro that’s right for you, as well as offer some tips on handling neighbors that aren’t so favorable! Before you buy… what are YOU looking for in a neighborhood? Do want a friendly, open door vibe, where everyone knows everyone? Or would you prefer a quiet community where people keep more to themselves? There is no wrong answer! Are you looking for block parties? Neighborhoods where everyone decorates for Halloween and Christmas? Do you want to live around other homeowners with firmly planted roots? Or in a neighborhood with more renters, with new people in the neighborhood all the time? Spend some time thinking about the kind of neighborhood you want to live in before you begin house hunting. Point blank: When you move to a new neighborhood, don’t be a jerk. Sure the house is yours, and you are allowed to live there, but be respectful. Don’t make noise moving in all night, don’t block the road with your truck and don’t let your dogs wreak havoc while you’re across town packing up your old house. You are still on their turf. Be respectful and go out of your way to be friendly to neighbors you see. Even if you are sweaty and exhausted, stop what you’re doing, go over and say hello. A simple introduction can lead to a great relationship with your neighbor. It’s so simple: always be nice. Imagine if someone brought you cookies the day you moved into your home? It would feel pretty amazing right? Why not do that for someone moving into your neighborhood? Imagine how welcoming it would feel to receive such a kind gesture upon moving into your home! If you’re interested in getting to know your neighbors better, get brave and invite them all over for a backyard cookout! Knowing your neighbors and getting along with them, will help you handle any future conflicts with tact and cooperation. Most neighborly issues can be resolved with a simple conversation. However, people can get defensive when they feel like their home or way of life is jeopardized. Resolving issues is much easier when you feel as if you are speaking to a friend as opposed to a complete stranger. And always make sure you aren’t the bad neighbor. Are your dogs aren’t continuously barking? (People often tune-out their own pets. What you might think is no big deal could be driving your neighbor up the wall!) Don’t make a lot of noise with your trash cans when it’s late. Yes, you are in your own home, but when you live close to someone, you need to be respectful of their way of life too. Address problems before you get angry. Going to someone’s house in a fit of rage because their dog is barking, is bound to foster a defensive response. In all of your dealings, you should strive to remain civil and diplomatic. Your neighbor should be a friend, and some one you can turn to if you ever need a hand. Taking the time to get to know a grumpy neighbor, and going out of your way to be friendly with them, will help to keep your neighborhood friendly and peaceful. Before you move, check out the neighborhood at different times of the day. It could be a whole different scene at night. Check out google maps. You don’t need to stalk people, but if you notice your back neighbor’s yard could be confused with a junkyard, you might want to reconsider. When you are house hunting, talk to the people you see out and about. Ask questions about the neighborhood. What do they like about it? What would they change? Their needs might be different than yours, but it’s nice to get additional perspective. Looking For Local Rent To Own Homes? Join our FREE local rent to own homes list below. 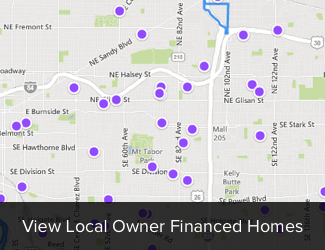 Fill out the form above to search local Owner Financing Homes CURRENTLY AVAILABLE. This list is updated on a weekly basis, and you'll receive email alerts as soon as new opportunities open up. LEGAL DISCLAIMER: Rent To Own refers to properties for sale with lease-option financing. This site does not offer Rent To Own properties or for rental listings and is not a Pre Paid listing Service as defined by California Business and Professions Code 10167. Terms of credit during duration of promissory note dependent on agreement with homeowner.